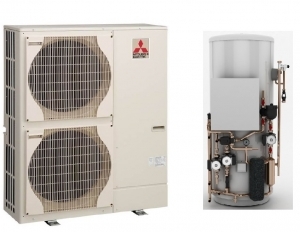 The Mitsubishi Electric PUHZ-HW140YHA2 air to water heat pump is rated at 14Kw and is the largest air to water heat pump in the Ecodan range, this is the three phase 400 volt electrical supply model. The heat pumps offer a reliable heating and DHW solution for a wide variety of properties and will operate down to an outside temperature of -25 °c, ensuring you’re heating and hot water needs will work even in the coldest winters. More information on the range can be found in the brochure below. You have the option of three different sizes of water tanks for this heat pump these being the 210 litre, 250 litre and 300 litre tank from the standard pre-plumbed tank range. 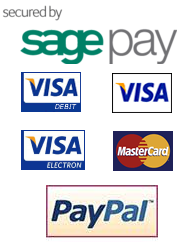 For other possible water tank options contact us for advice.